I watched a documentary about Johnny Cash last night and now I am listening to his music as I write this post. He songs remind me of driving up to Canada in my dad's Oldsmobile Regency with my parents and oldest brother. Dad had Johnny playing on the 8-track. There is just something about his voice that is haunting. While Elvis is still my number one singer, Johnny comes in a close second. I was definitely born in the wrong era. None of this has to do with churros or donuts, I just like good music and thought I would share. Don't worry I'll still share the recipe for these finger-lickin' treats. 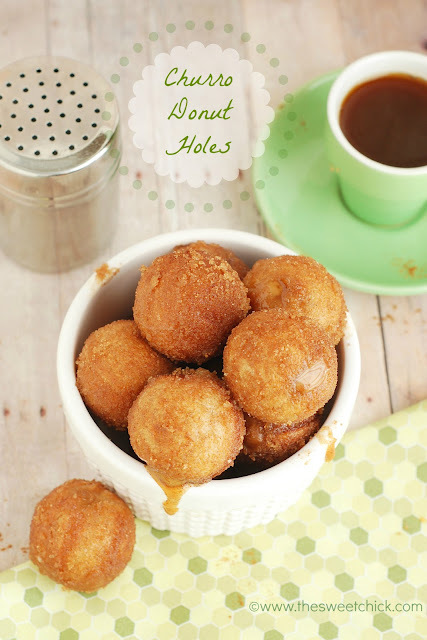 I made these donuts holes using my Babycakes Cake Pop Maker. The machine I bought came with an injector to add filling, so it was perfect to fill my donuts with my homemade dulce de leche. You can probably use the Wilton cupcake filler tip to do the same. You want to make sure that if you make your own dulce de leche or buy it, you want it to be thick, otherwise it will just seep out of your little donut holes. Another tool that is great for this project is the Tovolo pancake pen. It is so much easier to use it to fill the wells of my machine with batter than to try to do it with a spoon. After you fill them, you just glaze them and roll them around in some cinnamon sugar. I like to use brown sugar and cinnamon. I find granulated sugar to be too gritty for me. Only after you finish all these steps can you pop one in your mouth. Yeah, right. I lost a few before I even got to fill them to my little kitchen troll that wouldn't stop saying "donut" until I threw him at least three. These guys are a little messy. You may need a napkin or two, but they are worth the trouble. 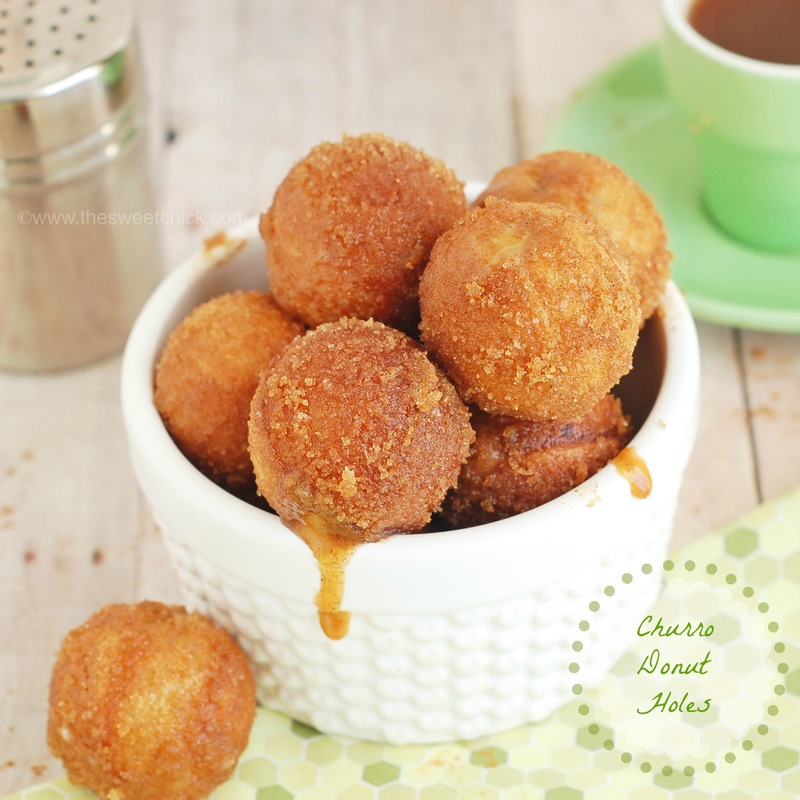 A moist cinnamon donut with a burst of dulce de leche, coated with cinnamon sugar. If you aren't drooling yet, you will be once you start baking. Now get to it. Preheat your Babycakes Cake Pop Machine. Using a hand mixer or stand mixer, beat together yogurt, milk, oil and sugar. Then add eggs and vanilla. Mix well. In a separate bowl, stir together the dry ingredients and slowly add to to the wet ingredients, making sure to have a nice smooth mixture. The batter will be thick. Use a Ziplock bag with tip cut off or pancake pen to fill each donut reservoir with about 2 tbsp of batter. Bake for about 4 minutes or until toothpick inserted in center of donut comes out clean. Place hot donuts on cooling rack. 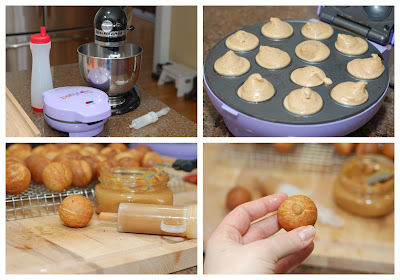 With the Babycakes injector or a cupcake filler, make a hole in each donut and fill with dulce de leche. In a small bowl whisk together powdered sugar, vanilla, and milk. You want the consistency to be runny, not thick. Dip each donut in the mixture and flip it around by hand or with a fork until the whole donut is covered. Then place back on the cooling rack until the glaze is dry, but tacky. In a small bowl combine the brown sugar and cinnamon. Dip each donut into the mixture and roll around until all covered. Then pop one in your mouth an enjoy the ride. Ok, we're seriously drooling here. These look absolutely delicious! Filled with dulce de leche? Definitely gotta add these to our always growing to-make list! Hold on, here's a napkin. Those look so incredible! Your picture is great with that dulce de leche dripping out. I LOVE this idea. Sharing it everywhere (and drooling)! Perfect size to pop into my mouth! I don't need a napkin, I'll lick my fingers! Pinned! Thanks for sharing at Two Cup Tuesday at Pint Sized Baker! Hope to see you there again on Monday night! These look so good! I agree with everyone - they are the perfect size and I am drooling a little! I would love it if you would drop by and link this recipe and a few others to my party that is going on right now! It is the In and Out of the Kitchen party and is for recipes, crafts, DIY projects and etsy shops! 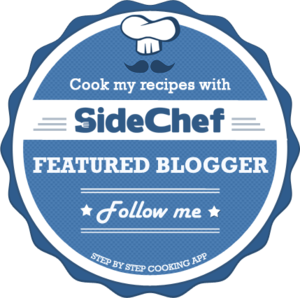 By the way, I am now following you and your delicious recipes!